After many years of searching we found a suitable property for building our own synagogue. The property conforms to all the Zoning and legal requirements. Dana Stein - a politician living next door, is fighting against us opening a synagogue near his house. He also recruited his State Delegate Dan Morhaim to help him. They are rallying the neighborhood and using their influence to oppose our synagogue. We need these elected officials to realize that the our community notices them using their power top fight against a synagogue. We are asking you to speak up! Many of our community members have already stood up in its defense, but more voices are needed. Defend our right to build our own synagogue!  We support the proposed ARIEL Russian Synagogue on Stevenson Road in Pikesville. We are concerned about some government officials using their influence to fight against this project. We are asking you to support the Russian communities’ right to have its own synagogue. Q: Do we need any Zoning change or exceptions? A: No. Houses of Worship are permitted in residential areas and historically were always located inside neighborhoods. The Code has several requirements for Houses of Worship and our plan meets all them. Q: Will our synagogue disturb the neighbors? A: No. The law requires our building and parking lot to be 75 feet (the width of an average residential property) away from all neighbors and several rows of trees to be planted on all sides. Our plan is meeting and/or exceeding these requirements. It is worth noting that most of the synagogues in Baltimore do not adhere to these regulations and were built as a “special exception”. Q: Are there any traffic and or pedestrian safety concerns? A: No. A traffic expert testified that the entrance to our property and the road in front of it are perfectly safe. Q: Does our plan provide enough parking for the synagogue? A: Yes. We provide enough parking according to the requirements of Baltimore County (which are incidentally stricter than many other jurisdictions). Q: Will our synagogue have a negative impact on nature? A: No. Our plan was created and reviewed by one of the leading civil engineers in the area. He testifies that it will not. Q: Did we try to work out a peaceful agreement with the neighbors? A: Yes. Prior to making the filings we reached out to our neighbors, showed our plans and asked to share their concerns. We agreed to accommodate their requests. Unfortunately they decided to fight us anyway. Can We Buid a Synagogue in "THEIR" Area?